The Oxford Caledonian Pipes and Drums Band are a group of musicians from Oxford and the surrounding area who are dedicated to keeping traditional Scottish pipe music alive. The band has been in existence for more than 35 years and is a registered charity and non-profit making organisation. We meet weekly in the City of Oxford Silver Band Hall in Cowley and regularly perform at events throughout the county. The band can trace its formation back to 1961 when a couple of exiled Scots and two ex-army pals got together for a “blow” on their bagpipes. Through a friend, a practice room was acquired, at the Esso Research establishment at Milton near Abingdon, and so the Band was born. In those early days members played in their own kilts with family tartan. In April 1978 the Band was registered as a charitable organisation with the Charities Commission and adopted the Red Hamilton tartan in honour of Dr Hamilton, who was the Band’s first President. The Band was renamed “Oxford Caledonian Pipes & Drums”, the name by which it is known today. From 1961 until his death in 1987, the Band was lead by Pipe Major Charlie Elliot, ex- Highland Light Infantry. In 1987 he was succeeded by Scott Weston, formerly with 2nd Battalion Scots Guards; Scott continued as Pipe Major, building up the Band to competition standard, until he stood down in 1997. Pipe Major Ian Knight, a former piper with the Black Watch now leads the Band. In 1993 the Band purchased new uniforms in the Black Stewart tartan which is the tartan currently worn at Band engagements around the county and beyond. 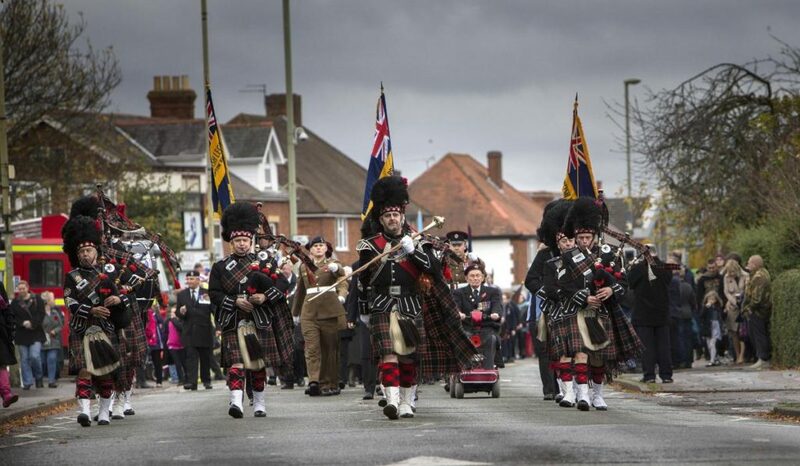 The Band’s appearances are well known at events such as Didcot Remembrance Day Service, Witney Carnival, Buckingham Christmas Parade and Abingdon Extravaganza.